Blue Shark operates from St. Justinian's which is a small harbor in Ramsey sound where the St. Davids Lifeboat station is located. 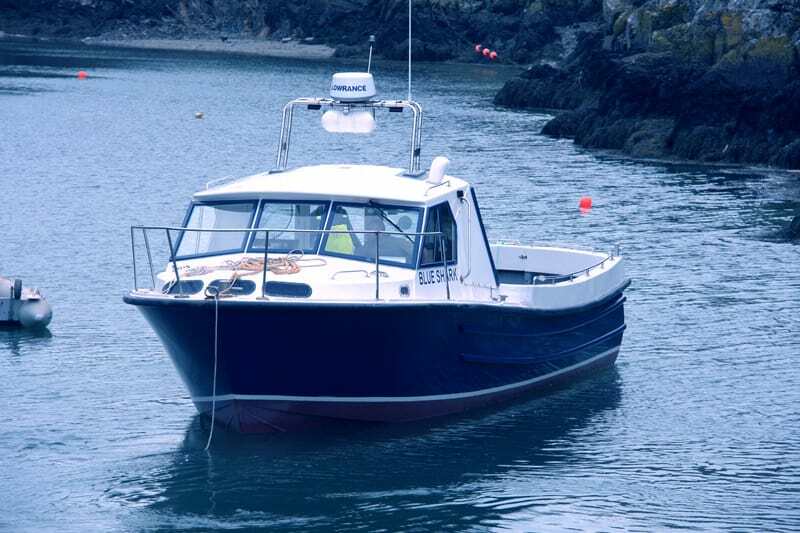 It is ideally situated to take full advantage of the great fishing grounds around the islands of Ramsey, Skomer, Skokholm, Grassholm the Bishops and Clarks and the reefs and sandbanks of St. Brides Bay. It is also a good departure point for the numerous offshore wrecks of the Irish Sea. We mainly run the shorter trips during the weekdays leaving the weekends free for the longer charters, please check our calendar for availability, or drop us a quick email if you have a trip or date in mind. We also run three-hour trips out to the Bishops and Clarks in search of hard diving Pollock wrasse and other reef species. The larger pollock out on these reefs regularly getting up to 10lbs and great sport on light tackle. 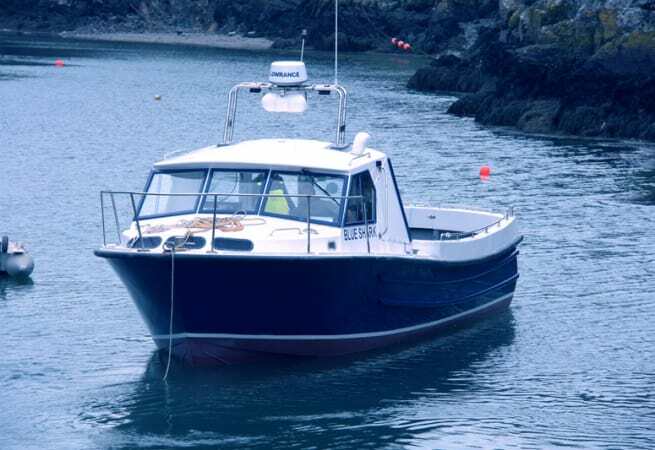 She is available for skippered charter, prices start from £500.00 per day.